Ants species that are commonly confused with subterranean termite swarmers are carpenter ants and fire ants. Both of these species have winged reproductives that swarm in the early spring and randomly during the year. On the other hand, subterranean termites swarm in the spring in the Eastern United States, starting in early March, and swarm until early June. However, unlike ants, there is no constant swarming or migration: an individual termite colony only swarms 1 or 2 times in its lifetime (which can be 10+ years!). Unlike ants, subterranean termite swarmers are very poor, weak fliers and only use their wings to swarm. They will break them off soon after swarming to make crawling around easier. Unless you are lucky enough to witness the actual swarm or to find dead swarmers or wings (you may encounter piles of broken wings on window sills or near areas of sunlight such as doorways), you may miss it. Winged ants do not break off their wings and are very strong fliers. 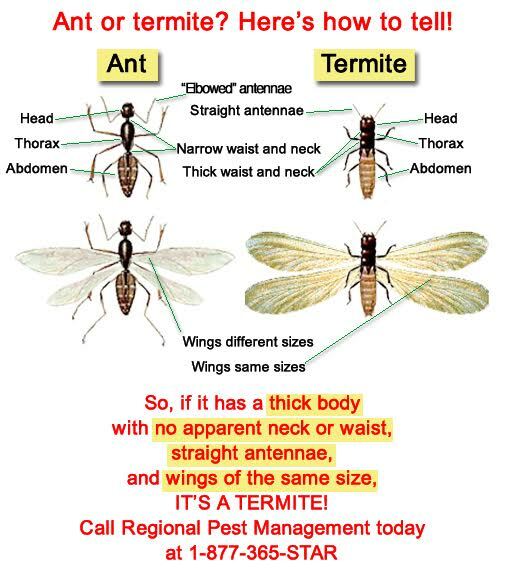 Use the chart above to determine what you have; if you have ants, click here for information on how to control them. 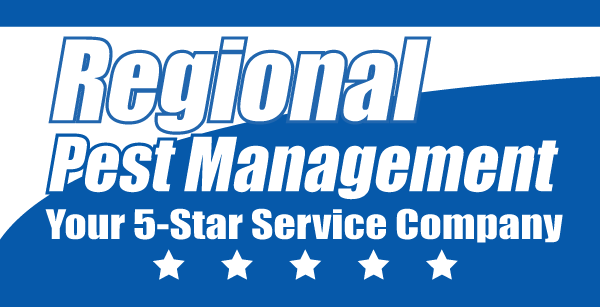 If you think you have subterranean termites - then you need to call Regional Pest Management right away!